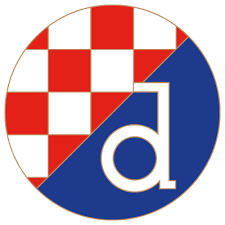 The Croatian league gets underway this weekend and the reigning champions, Dinamo Zagreb will be kicking-off under something of a dark cloud. The club’s chairman, Zdravko Mamic and his brother Zoran, the coach, were both arrested this week after investigations into possible embezzlement and tax fraud. They were snatched as they crossed the border from Slovenia, where Dinamo had been preparing for the new campaign. Both men claim their innocence and Dinamo have said that the accusations are “unfounded and odd”. The brothers’ houses were both raided as the said they were “collecting urgent evidence”. Despite presiding over Croatia’s most successful team – they won the title by a massive 13 points and also lifted the Cup – Zdravko Mamic has never been a popular man. The football public believe he is both “arrogant and greedy” and that he takes a cut of player transfers. Dinamo’s gates have plummeted down the years and in 2014-15, they averaged just 3,048 for home games. Thirty years ago, they could count of 25,000.